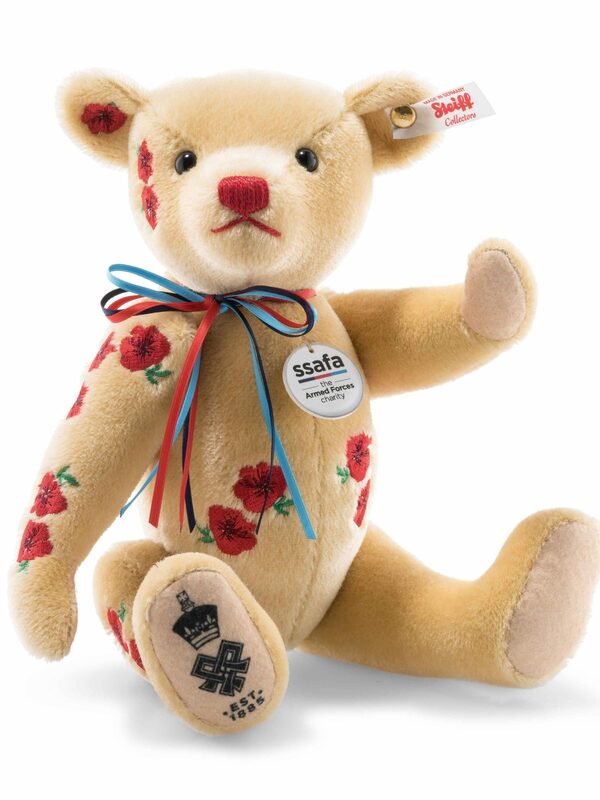 Steiff and SSAFA, the Armed Forces charity are delighted to be working in partnership with the launch of this unique Armistice Teddy bear. SSAFA, the Armed Forces charity, has been providing lifelong support to the Armed Forces, veterans and their families since 1885. At the outbreak of the First World War, the Government called on SSAFA to take care of the families of soldiers going to the Front; providing food for the hungry, housing for the homeless and clothing for those that were destitute. 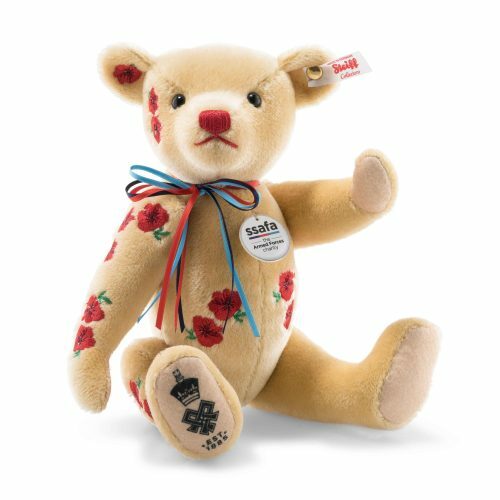 Created to mark the centenary of the end of the First World War, this limited edition Armistice Teddy bear commemorates all those who paid the ultimate sacrifice with their lives and those SSAFA volunteers who helped over one million people between 1914-1918. As the UK’s oldest independent tri-service military charity, SSAFA continues to provide personalised practical, emotional and financial support to over 67,000 people every year. The sales of this Steiff Teddy bear will help raise vital funds to support the Armed Forces family; from older veterans to those young men and women involved in more recent conflicts, and their families. For every Steiff Armistice Teddy bear sold £20 will be donated in support of SSAFA. For over 133 years SAAFA been supporting our Armed Forces, please find out more – donate today and help us continue our important work, visit www.ssafa.org.uk. Registered as a charity in England and Wales, Number 210760 in Scotland Number SCO38056 and in Republic of Ireland Number 20006082. Established 1885. Made of blond mohair The Armistice bear is embroidered on the body with poppies and the SAAFA emblem on the right paw pad. Fully jointed with growler.